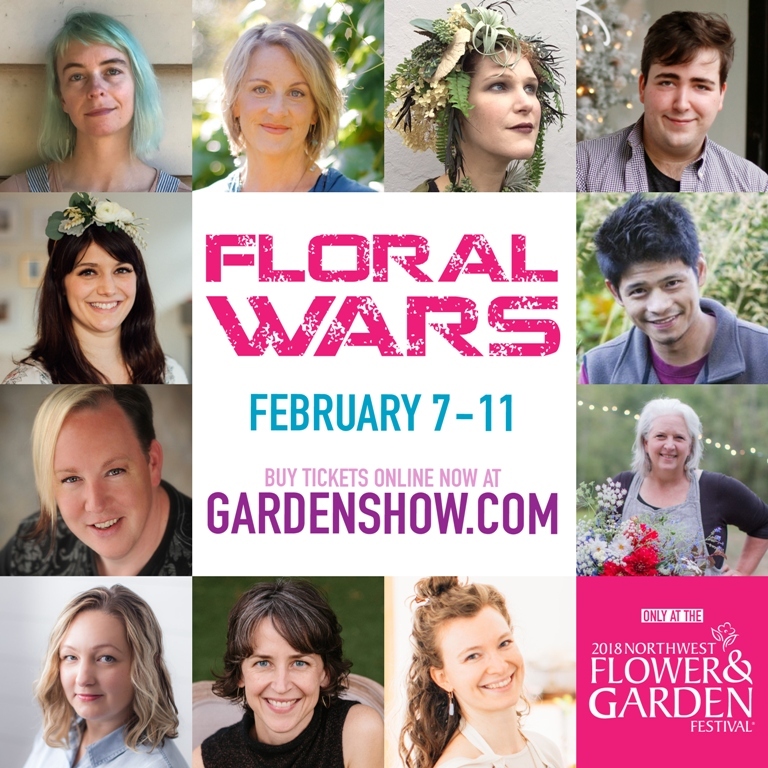 Last month, Slow Flowers produced and hosted the first-ever FLORAL WARS at the 30th annual Northwest Flower & Garden Festival, February 7-11, 2018. 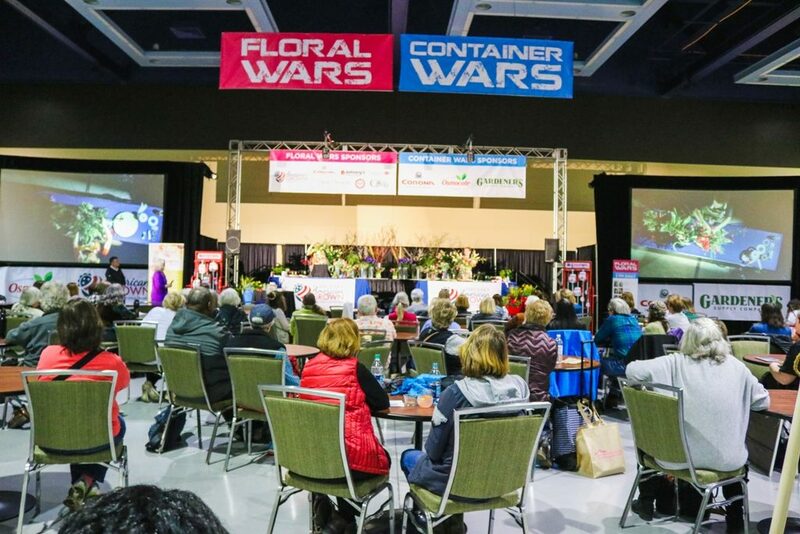 NWFGF is the nation’s second largest indoor flower show and the West Coast’s biggest consumer gardening event, with spectacular landscape displays, how-to presentations by top experts, fast-paced DIY competitions, world-class shopping and more. FLORAL WARS, a “live” floral design competition, revealed designs and techniques from some of the top professional floral designers in the Seattle market. 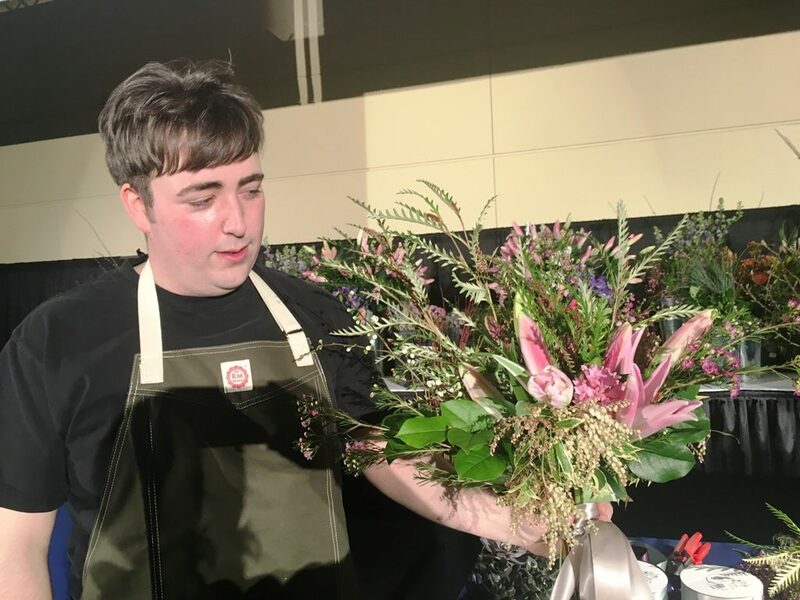 Ten contestants brought the beauty of the outdoors, showing audience members how to decorate indoor spaces and special occasions with cut flowers. 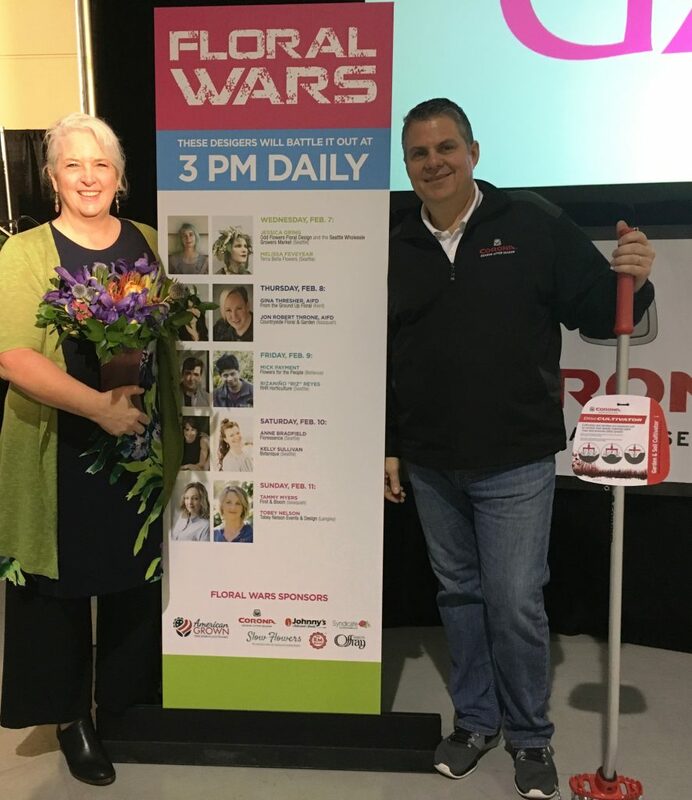 I loved partnering with Chris Sabbarese of Corona Tools — we had fun answering questions and interacting with the audience while giving away great floral and gardening tools. 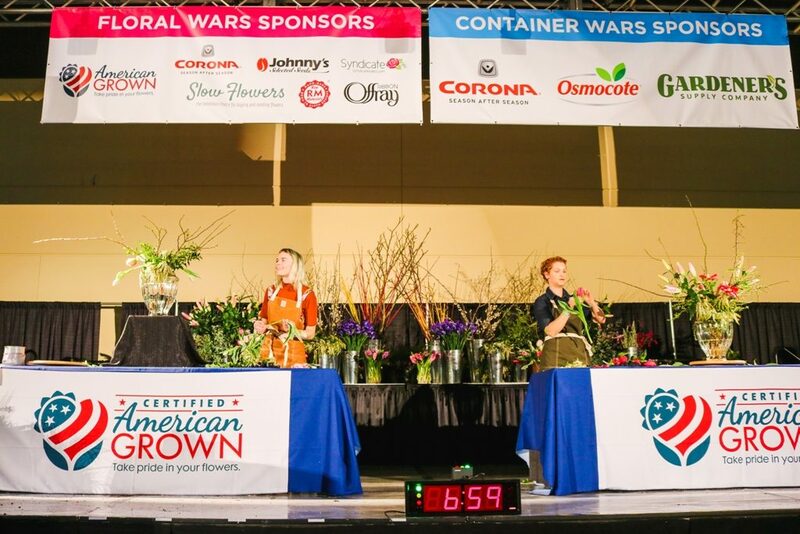 The daily floral design competition was a new companion event to Container Wars, launched in 2017. 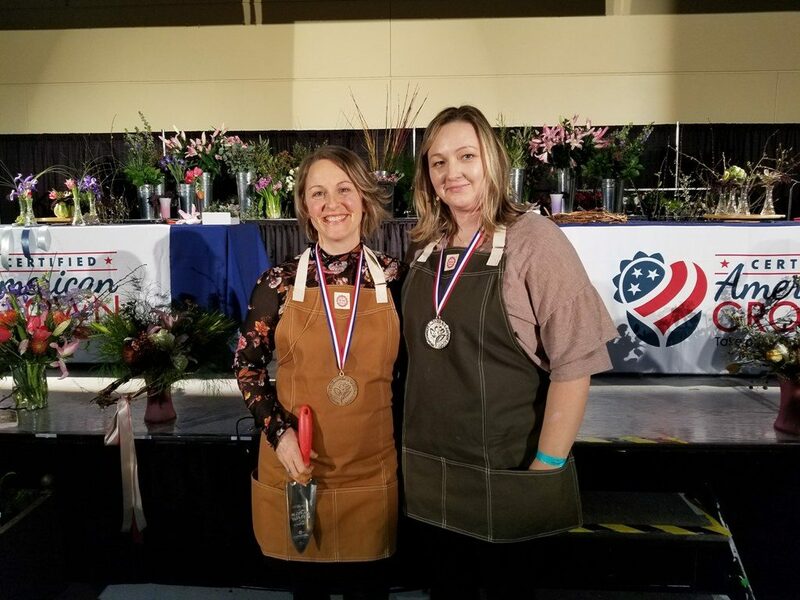 As founder and creative director of Slow Flowers, I served as producer and host and invited contestants to compete and design with seasonal floral, foliage and other botanicals donated by Certified American Grown, the presenting sponsor. 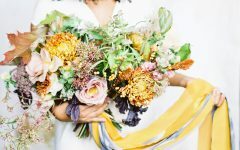 Each day, two floral artists received our challenge: to create three arrangements—a bridal bouquet, a centerpiece and a “surprise” floral creation—all in less than one hour. 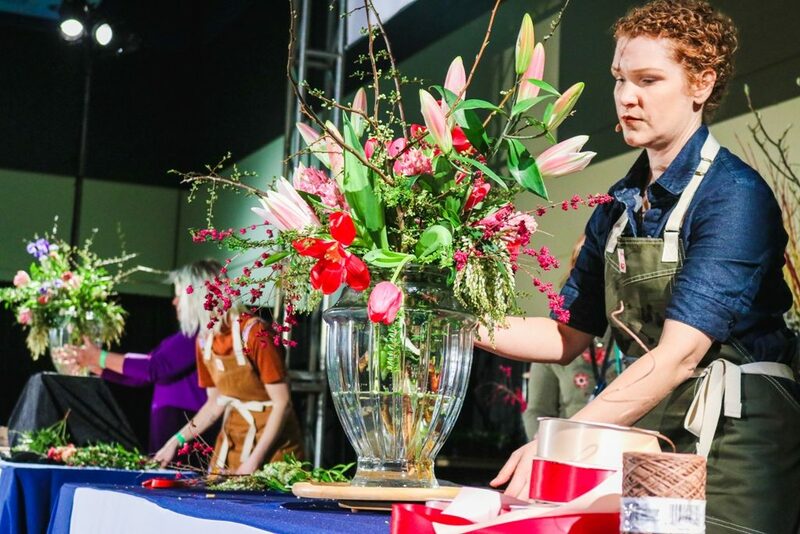 It was a test of the contestants’ grace under pressure as they showcased American-grown flowers, USA-made floral accessories and eco-design techniques. 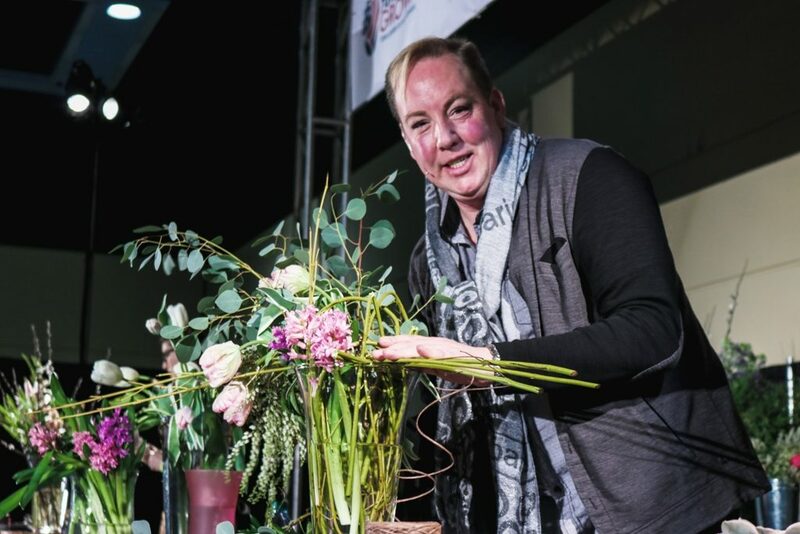 During the hour-long event, floral pros were given several surprise buckets of stems, and with clippers, vases and ribbons in hand, they demonstrate floral arranging while also answering audience questions. Heightening the drama, festivalgoers were as surprised as the designers to discover the “secret” ingredients and unexpected challenges – with the time-clock countdown adding suspense of its own. 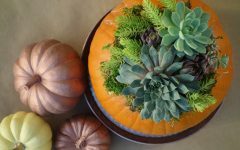 Melissa Feveyear of Terra Bella Flowers, as she designs her first floral challenge. Overhead cameras captured Jessica Gring’s design steps on the big screen. 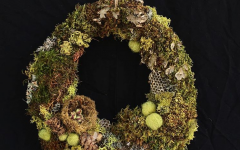 In the past, the NWFGF has featured an invitational floral design showcase, as well as Ikebana and orchids displays. 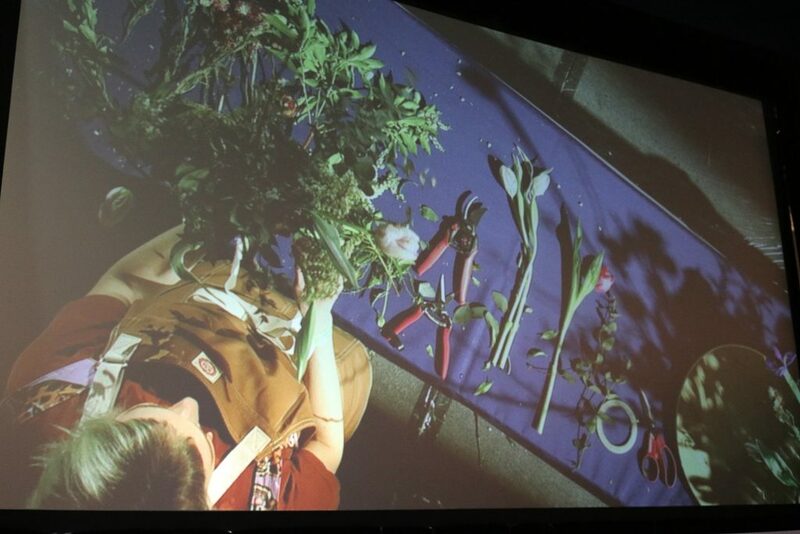 Adding a new, live competition during which audience members could watch top florists and hear their tips and techniques, was a success. 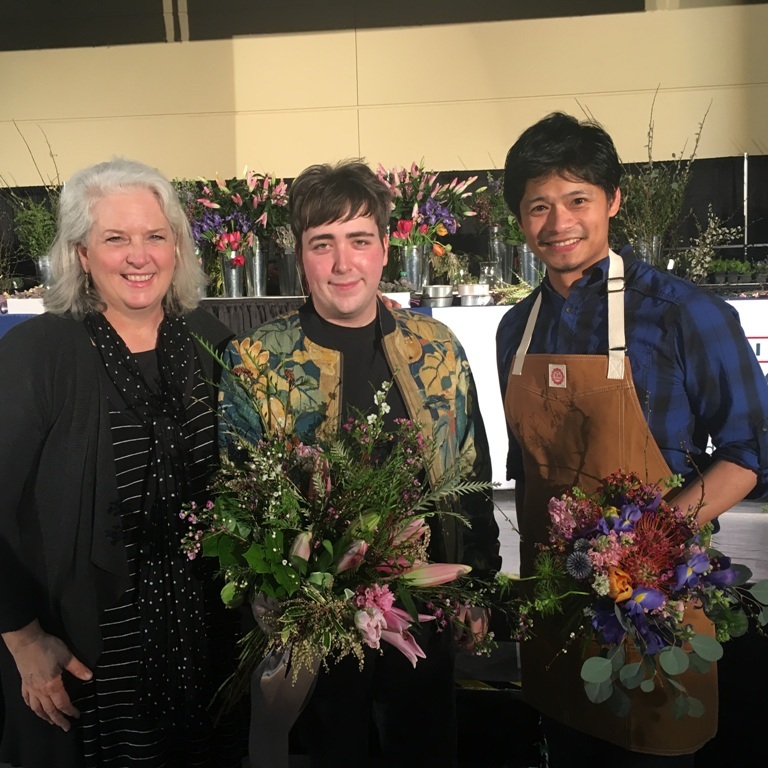 We learned that garden enthusiasts yearn for more flowers in their lives – and Floral Wars delivered inspiration and education with great ideas for floral design. Jon Robert Thrown with a fabulous vase arrangement. Gina Thresher poses with her vase arrangement. Mick shows off his hand-tied design. Product donations also provided by Syndicate Sales, Offray Ribbon, Raw Materials Design and NWFGF Sponsor Corona Tools. 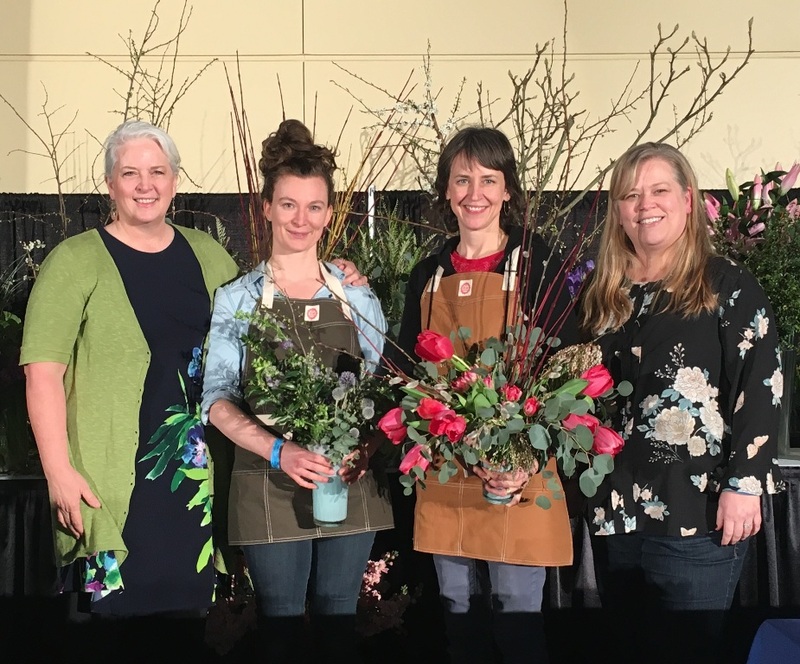 Day Four, from left: Debra Prinzing, Kelly Sullivan of Botanique, Anne Bradfield of Floressence and Alicia Schwede of Flirty Fleurs, our Floral Judge for the day. 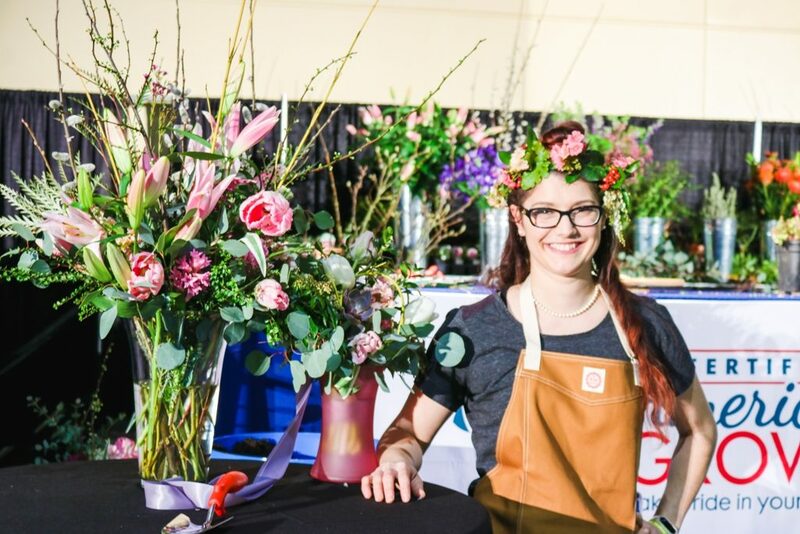 Celebrating 30 years of inspiring all experience levels, the 2018 Northwest Flower & Garden Festival showcased 18 magnificent, idea-generating display gardens, demonstrations and displays focusing on small space and container gardening, more than 100 free “how-to” seminars by top experts, shopping for a cornucopia of quality products, artwork and regional food items in the bustling Marketplace, and much more. 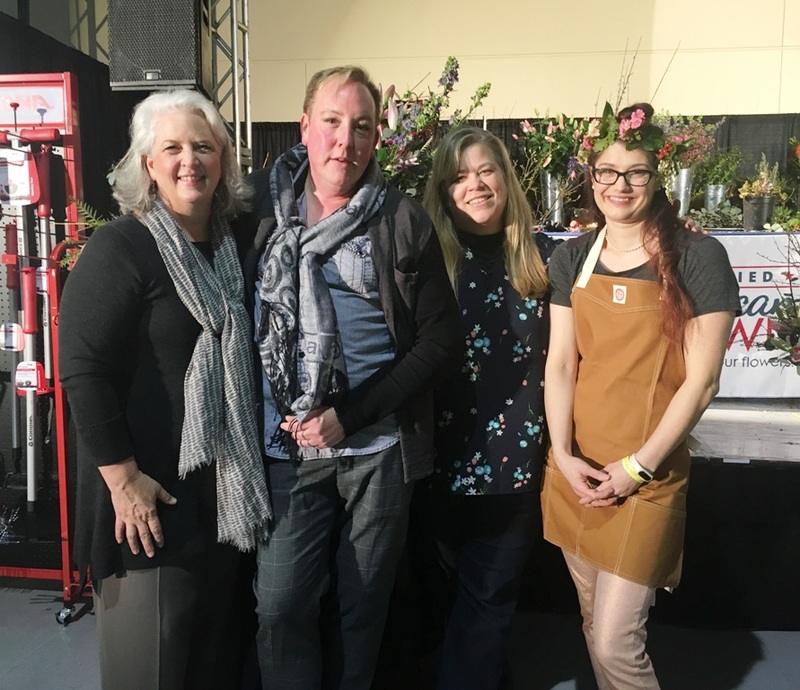 Debra, thank you for posting this great recap of Floral Wars at NWFGS 2018. Designers brought a lot of interesting ideas and insights with their displays. You are an excellent ambassador to represent the industry and it was a pleasure working with you during the event.